Four 7000tons wheat silo project (Φ16m×H27m) was finished in Hebei, China. 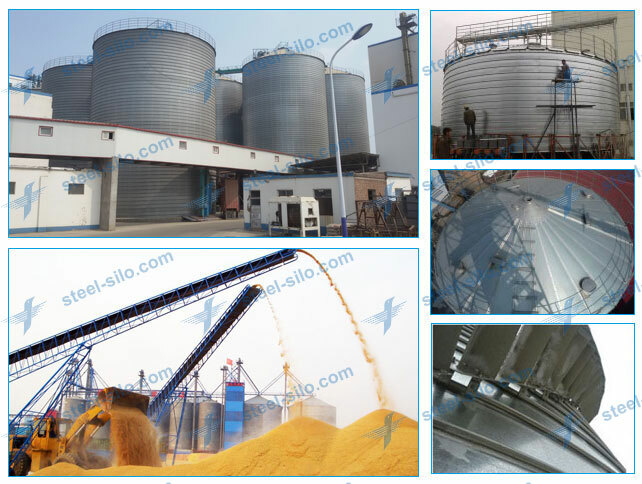 Apart from the four 7000tons wheat silo, we also construct 3 wheat silos with the standard of Φ15m×H20m and 7 wheat silos with the standard of Φ7m×H13m. Flyer dispatched two experienced working teams to build these wheat silos. Every workers keep the meticulous and remorseless attitude, and we finished this big project successfully. Our clients speak highly of our professional working teams. Located in the high-quality wheat production area, our client is an enterprise together with storage, processing, quality control, marketing, scientific research, logistics and after-sales service. While they hold the project bidding, Flyer got their key projects. Their boss said that they trust our excellent product and perfect pre-sale, on sale and after-sales service system. Grain is the fundamental of our survival, Flyer have the responsibility to help people store the grains well. We will continue to work hard and study more advance storage technology.